Construction and Restoration in Owosso MI. Hubble Construction and Restoration is a small company with a commitment to the quality of our work as well as the concerns of our customers. Our core company focus is helping families rebuild their home after a disaster has occurred. Maybe it’s to cleanup and rebuild after a devastating fire, to repair extensive water damage to your home, or replace a roof that’s been damaged by hail and heavy winds. As homeowners ourselves, we understand the needs of the homeowners (people) we work for and we understand how to make this process as painless as possible. Based in both DeWitt and Clarkston, Michigan. We are positioned to take on projects within Owosso and the surrounding area. We specialize in insurance restorations from fire, water, and wind losses, as well as home renovations and new construction too. Our committed team of contractors specializes in timely turnarounds for insurance restorations so that homeowners are inconvenienced for the smallest amount of time possible – saving both them and their insurance companies time and expense. 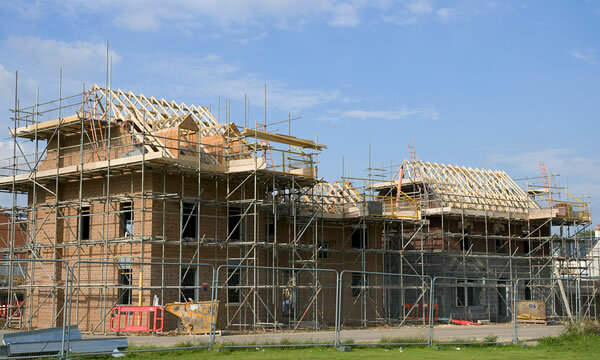 With over 60 years of combined building experience, our team of licensed builders is committed to providing the best possible service to our homeowners. Hubble Construction has demonstrated our skill with small commercial developments through the completion of both Speedway and Kroger Gas Service Stations in Central and Eastern Michigan, as well as work for small businesses, Shopping Centers and Malls. Our work at these locations included all phases of construction, working from blueprint to completion under deadline pressure. On any job location, whether commercial or residential, we maintain our commitment to timeliness and quality. Remodeling your Owosso MI home is a great way to get a house that will meet you and your families needs for many years without having to sell and move out of Jackson. Even if you do plan to sell your home sometimes a little remodeling project can help boost the resale value and generate more positive attention from prospective buyers. Whatever your reasons for a remodel it’s always best to have a professional take a look first. You can put our proven 60+ years of combined construction and remodeling experience to work for you on any number of your remodeling or construction projects. Give us a call, or fill out our request form and we’ll be contacting you shortly. Remodeling your home can be a stressful experience if you don’t have the experience of building and remodeling professionals to bounce your ideas off of and get their expert advice. No matter how large or small of a remodeling project from a new countertop in your kitchen all the way up to an entirely new addition to your home or even a brand new commercial space for your business. Hubble Construction and Restoration can help you transform any portion of your home or commercial building into something beautiful. Hubble Construction and Restoration was founded by Rick Hubble with three core principles in mind, provide the absolute best customer experience, only the finest quality finished projects (we’re rebuilding people’s homes afterall! ), and we want to make the process as absolutely painless for the homeowners as possible. Rick and the team at Hubble Construction are just as excited about completing your project as you are. We understand that you have many choices when it comes to choosing a construction and remodeling contractor to complete you project in Owosso, MI. We just want you to know when you choose Hubble Construction to help you with your construction, remodeling or restoration project you aren’t just hiring a remodeling contractor. You’re taking on a new partner with an invested interest in helping you make your home a better, safer more enjoyable place to live. We’ll treat your project as if we we’re building it for ourselves!